Yes! I want to register my child. All registrations are pending administrative review and space availability. If we are not able to accept your registration, you will be refunded in full. 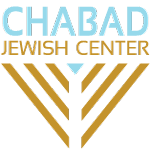 I will mail a check for the full amount to the Chabad Jewish Center. Now accepting moms and children for 2019. Mommy & Me is a project of the Chabad Jewish Center of Idaho.